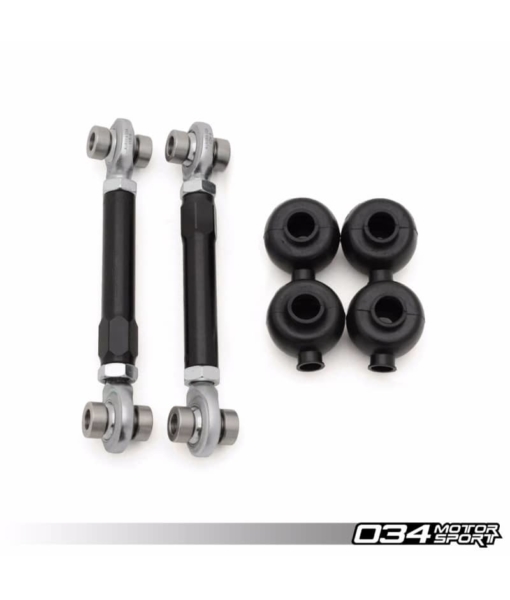 034Motorsport is proud to offer our Motorsport Adjustable Front Sway Bar End Link Pair for the B9 Audi A4/S4, A5/S5, and Allroad! 034Motorsport is proud to offer our Motorsport Adjustable Front Sway Bar End Link Pair for the B9 Audi A4/S4, A5/S5, and Allroad! 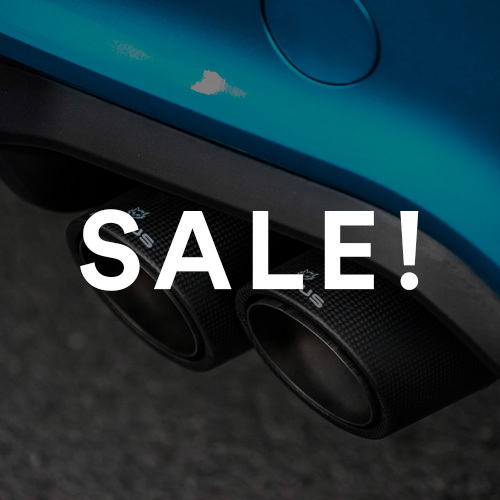 These end links are manufactured from billet aluminum and feature Aurora sphercial bearings, and are designed to replace the flimsy stock plastic and rubber units. 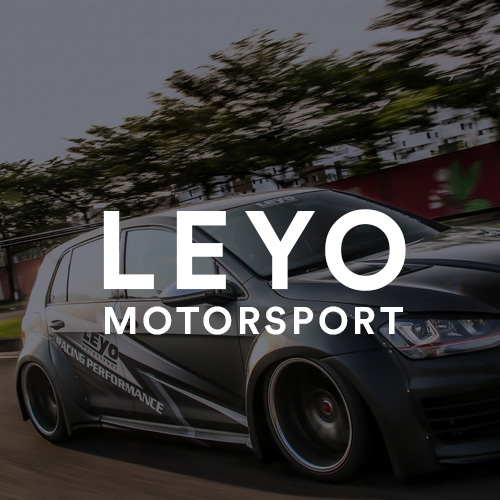 By using spherical bearings instead of rubber bushings that are prone to deflection, these end links eliminate any slop and ensure that your sway bar is performing optimally. 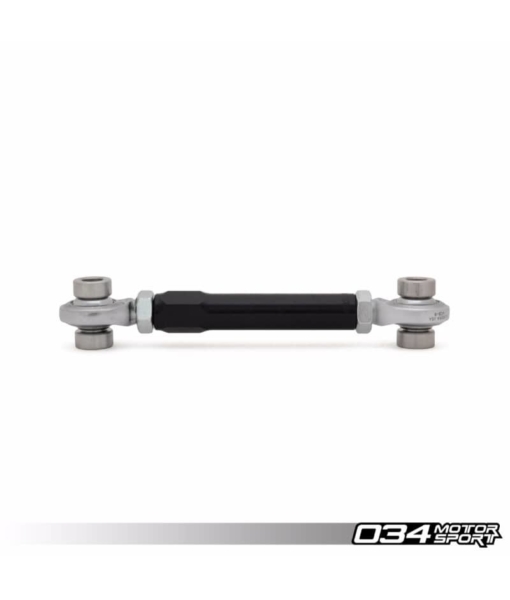 Adjustable sway bar end links also allow you to adjust preload on the sway bar, as well as alleviate any sway bar clearance issues caused by lowering your car.